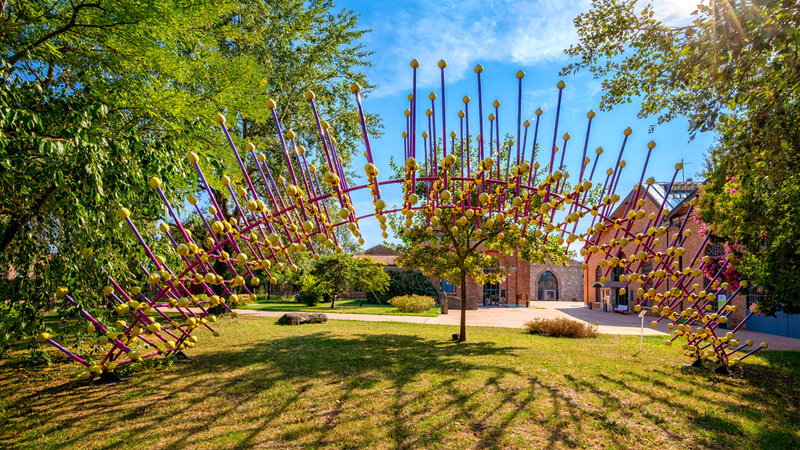 Like a spiny but intriguing “Sea Urchin” this unusual urban sculpture designed by the architect Giancarlo Zema, is realized using 150 stainless steel tubes and related plastic joints. 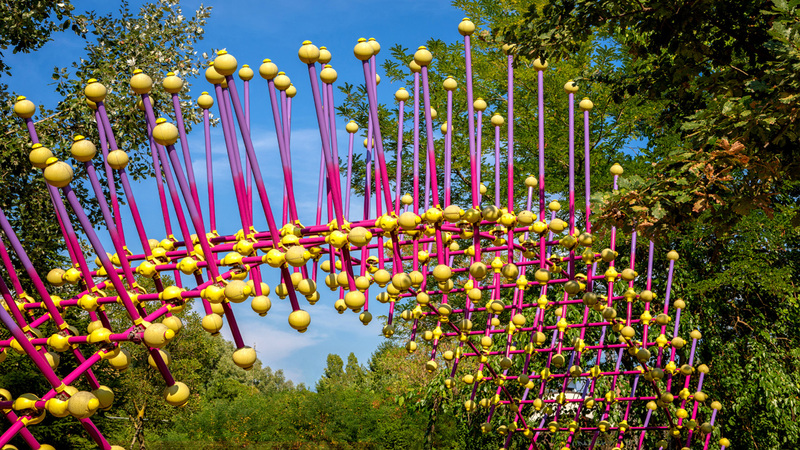 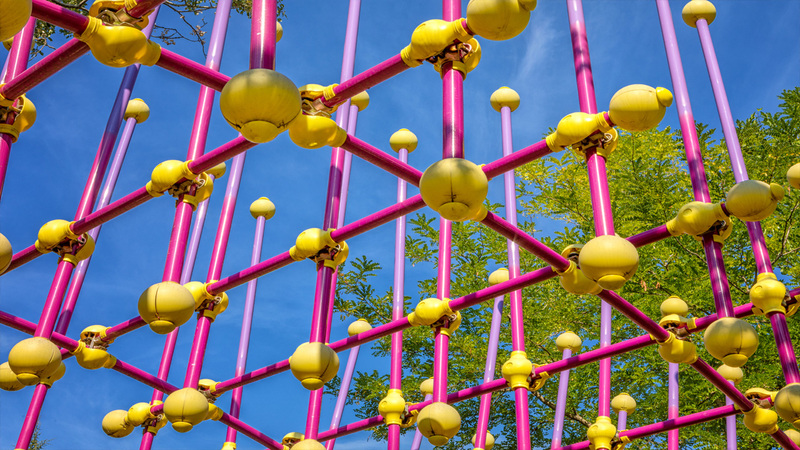 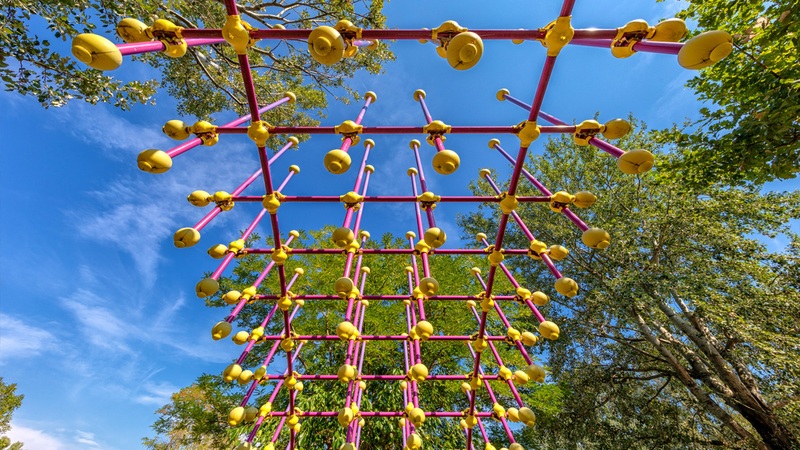 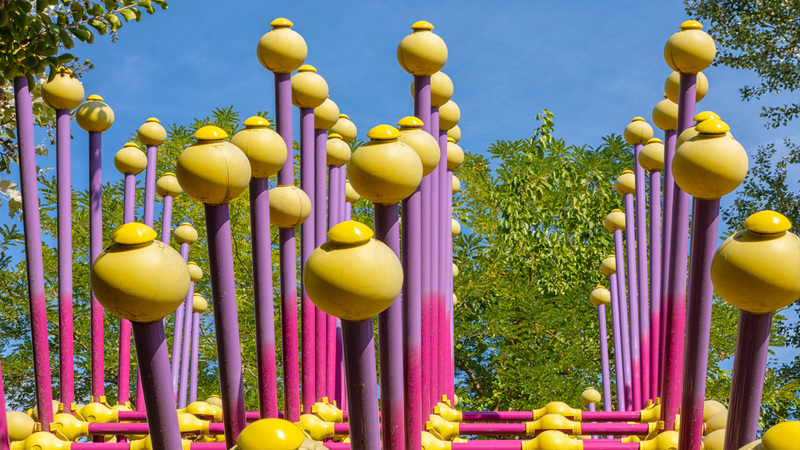 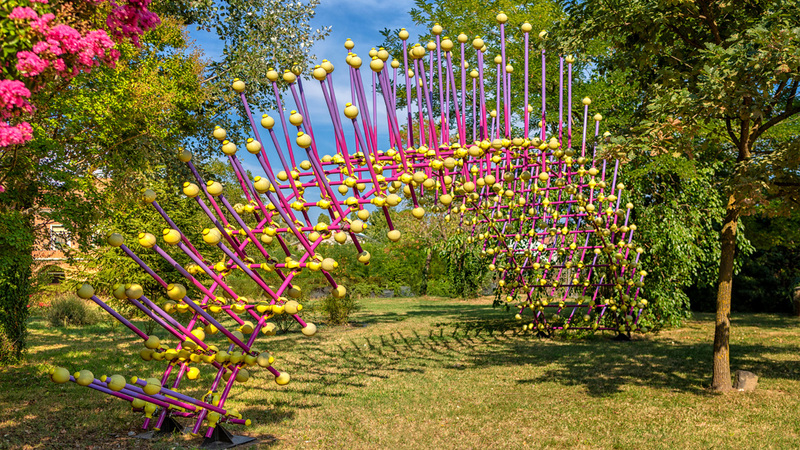 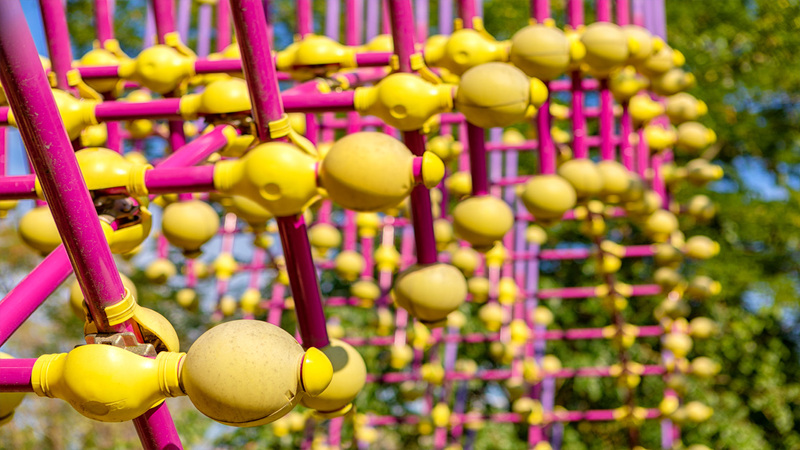 A new artistic way to transform steel elements in a colorful cane structure. 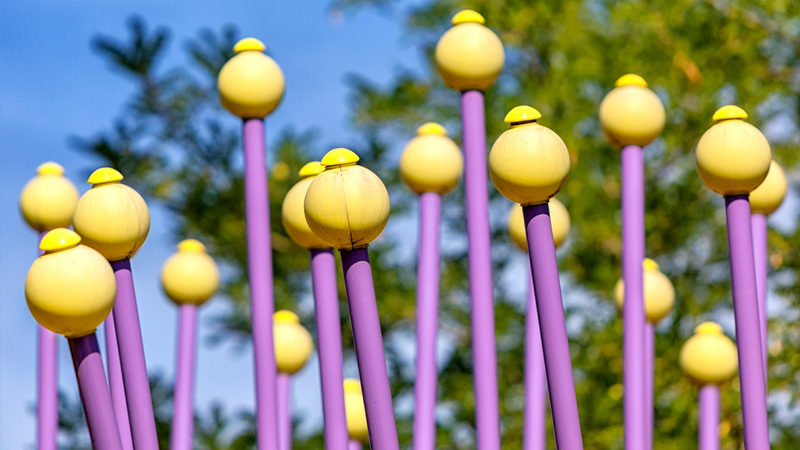 An artwork born as a symbol of a new reconstruction of the city dedicated to the renovation and the eco-sustainability. 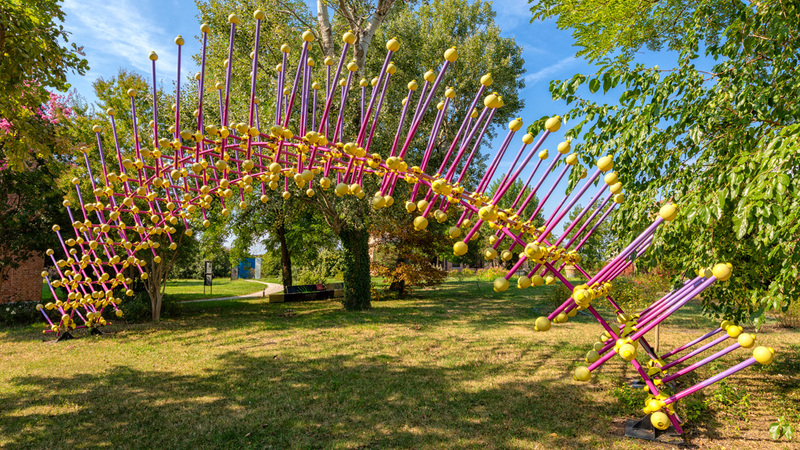 It is installed at the 57th Venice Art Biennial with the scientific partnership of the Politecnico di Milano and the cultural-artistic partnership of the Alma Artis Academy. 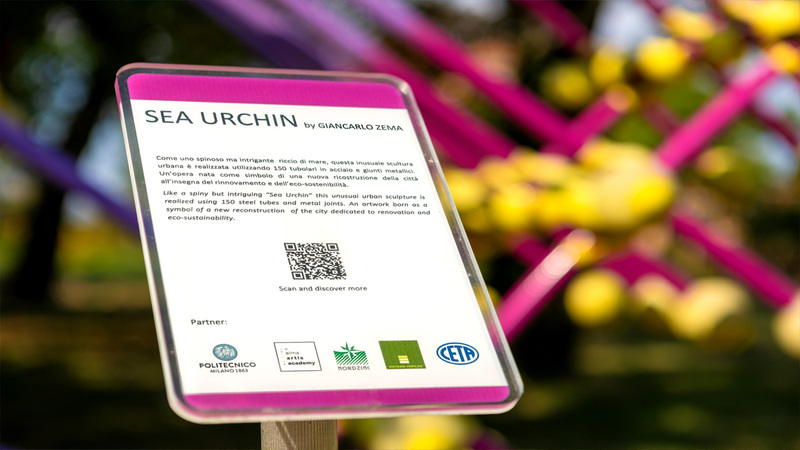 The artwork is realized thanks to the technical partnership of Nord Zinc SpA and CETA SpA the leader companies in the construction field. 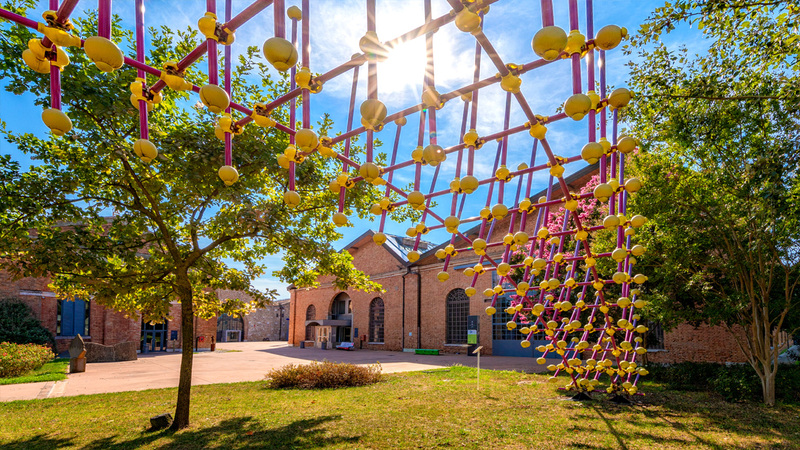 The Sea Urchin is on show in the gardens of the Spazio Thetis, Arsenale Nord, among the sculptures of famous artists such as Pinuccio Sciola, Michelangelo Pistoletto, Velasco Vitali and Jean Fabre, all into the Spazio Thetis area. 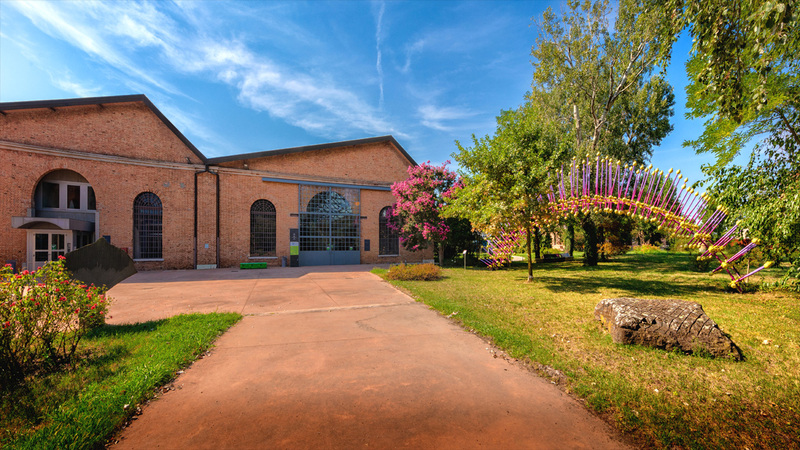 For registered Tour Guides you can contact WhenInVenice.com.